The last glowing rays of sunlight strike The Watchman near the entrance to Zion National Park. 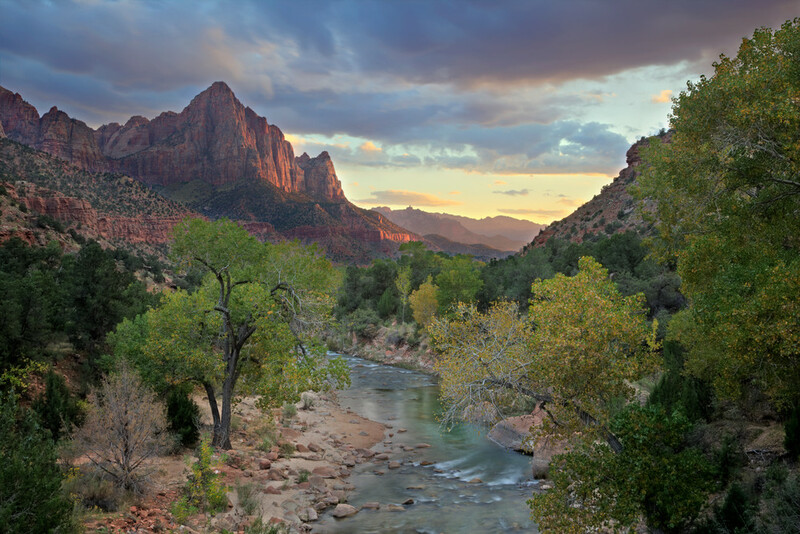 The last glowing rays of sunlight strike "The Watchman" near the entrance to Zion National Park. Meanwhile the Virgin River continually carves its way through the valley on this early autumn evening.